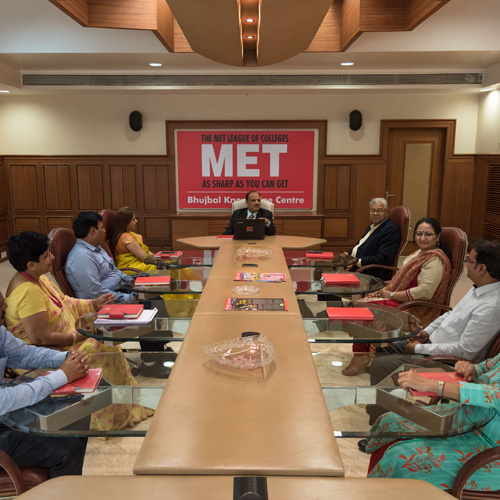 MET, Mumbai has a wi-fi campus with state-of-the-art AC classrooms. 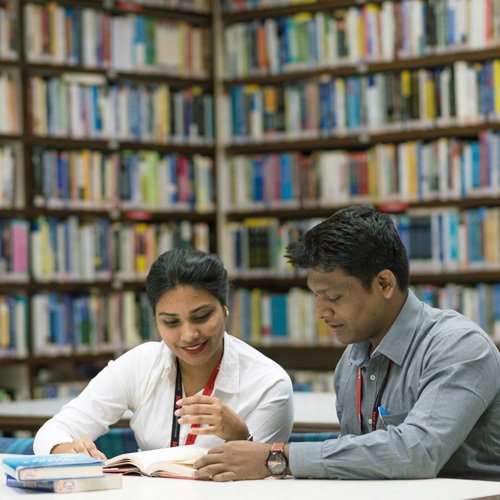 E-enabled libraries that dock over 26,000 books, 200 periodicals and 30,000 international online magazines and databases. 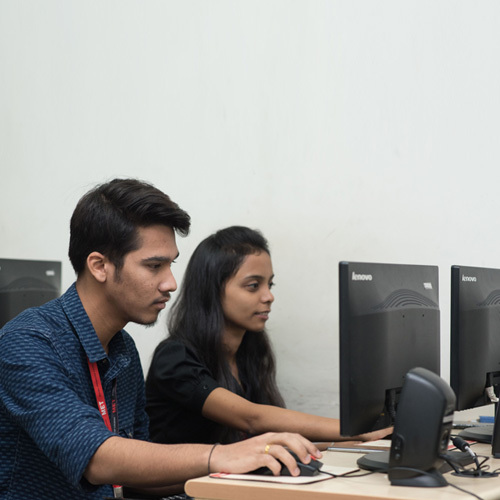 Fully loaded information and technology centres with wi-fi connectivity. Conference rooms equipped with the latest audio-visual facilities and learning aids to create a quasi-corporate ambience. A hi-tech convention centre for seminars and management workshops. Recreation areas to unwind. No effort has been spared to create an environment that encourages students to push the limits of their minds. 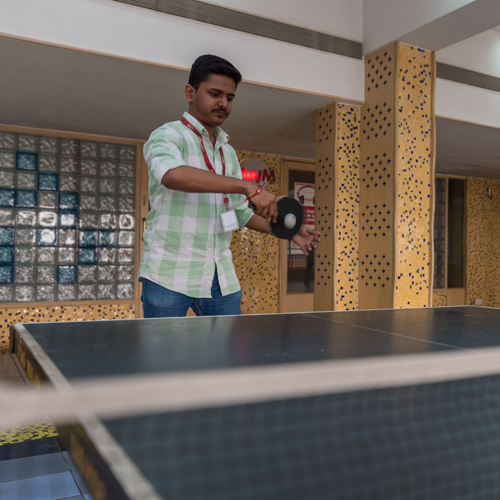 Take a walk through the wi-fi enabled MET Campus with world-class, state-of -the-art facilites, and you'll realise what makes it a cut above the rest. The atrium sets the tone for the smart, sharp look. The atrium sets the tone for the smart, sharp look. The two larger than life steel shafts, a graphic representation of the left and right brain, pierce heavenwards from the atrium. A silent testimony to the might of the sharp mind. The hi-tech convention centre ideal for seminars and guest lectures. 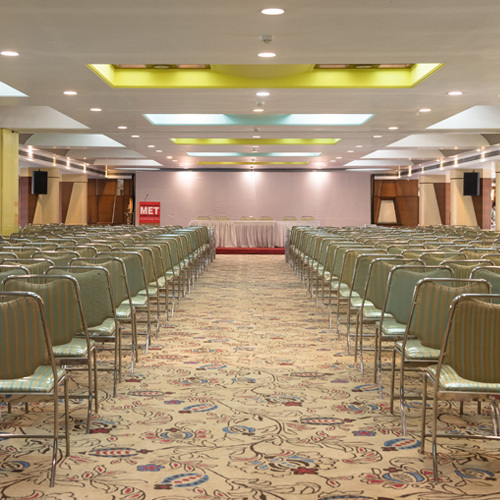 The hi-tech convention centre with a seating capacity of 800 people is ideal for seminars and guest lectures. Conference rooms to encourage discussion and debates. Conference rooms all wired up with the latest acoustic, audio-visual facilities and learning aids to encourage discussion and debates. Fully loaded computer laboratories with the latest software. Fully loaded computer laboratories with the latest software and a host of peripherals. 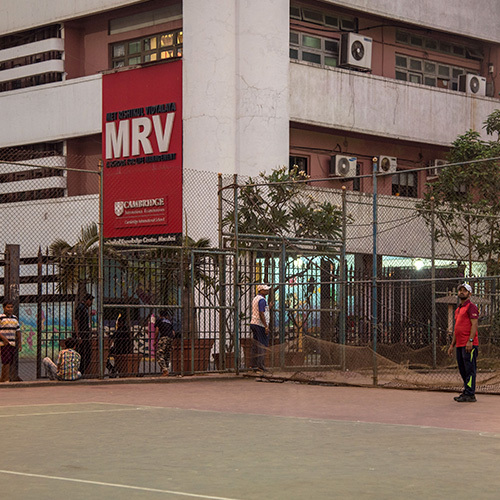 An air-conditioned recreation area helps sharp minds unwind. 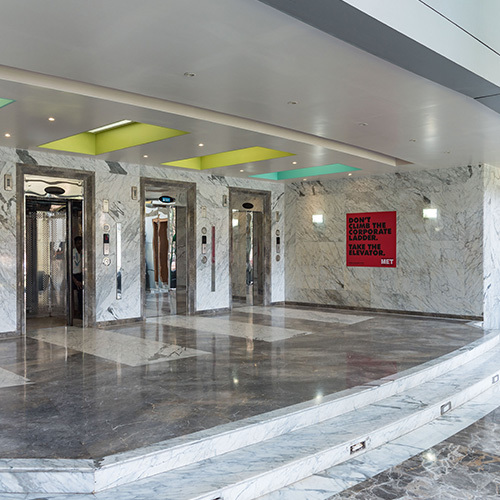 An air-conditioned recreation area helps sharp minds unwind. Play at the pool tables, table tennis tables and carrom boards. Stretch the body and mind in the hushed confines of the yoga room. The colourful and friendly canteen has a delectable menu. Internationally designed playground with ultra modern facilities. Internationally designed playground with ultra modern facilities for all outdoor games and recreation. MET World of Music (MWM) is a colossal archive of music. MET World of Music (MWM) is equipped with touch-screen kiosks, headphones and a colossal archive of music. The only fully loaded digital music centre on any campus. 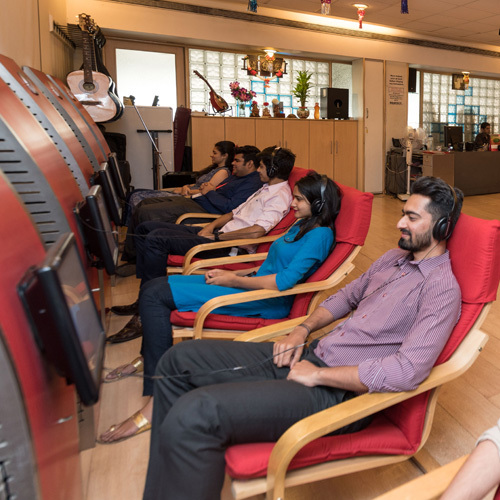 The library allows students to experience musical bliss in a hi-tech environment. Guest rooms with five-star amenities.